In response to requests for more information about the ASA awards schemes and the various badges that swimmers can achieve, here’s a summary of the scheme and details on how to get hold of them. The Amateur Swimming Association is the national governing body for swimming. 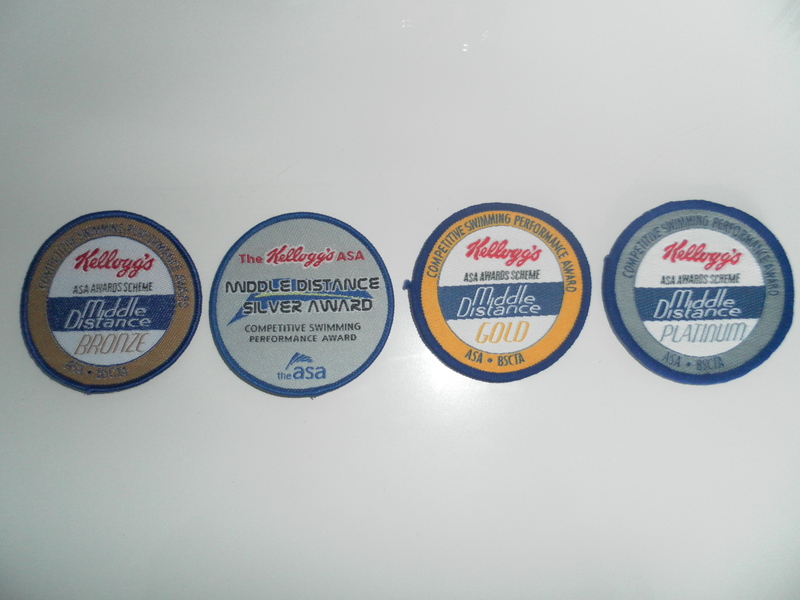 It’s awards scheme, sponsored by Kellogg’s, is designed tomotivate and reward the achievement of swimmers at any age or level. Through the scheme swimmers can collect badges and certificates when they have successfully achieved the request standard in terms of achieving times. The awards can be achieved in competitions or organised time trials held by the club. Workington Swimming Club are awarding four levels, Bronze, Silver, Gold and Platinum in the four strokes and the times to be achieved can be found on the club notice board. When swimmers have achieved any of the awards, they will be presented with a slip on our monthly presentation night which entitles them to purchase one of our badges to be sewn onto their t-shirt.